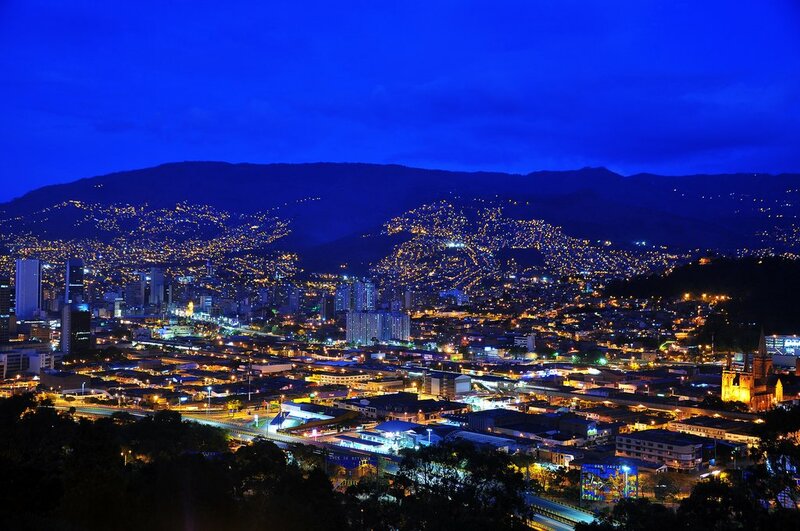 See the city of Medellín completely light up at night with festive Christmas lights in December. You couldn't have picked a better time to visit Medellín than the month of December. 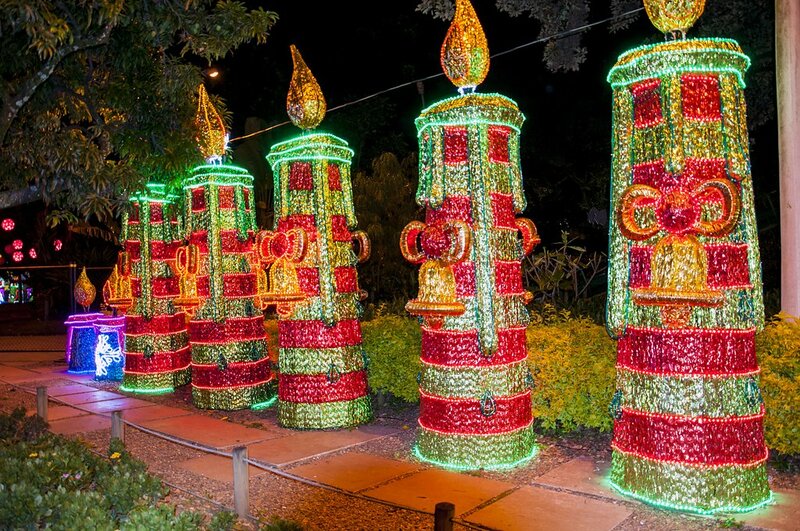 One event that the city is famous for is the annual Medellín Christmas lights display, known locally as "El Alumbrado". These are not your average Christmas decorations — the city goes all out, and last year the display exceeded a whopping 31 million LED lights spread over 100 parks and neighborhoods. People take their walking tours after sundown, enjoying the city’s mild weather while vendors sell goodies and street performers entertain. Each year there is an overall theme that ties the whole show together. They’ve been hanging Christmas lights in Medellín for over 160 years. Good news for environmentalists, some of these lights are powered by solar energy, a tradition that started in 2014. If you are here during the “lighting" season, Medellín is not to be missed! 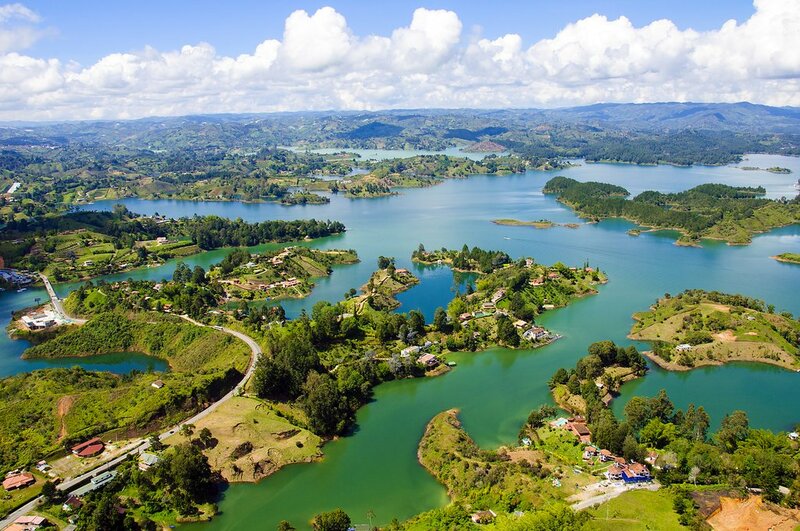 Today, you'll head east of Medellín and explore the picturesque lakeside town of Guatapé. Take a two-hour walking tour through the countryside and learn about the town's conflict surrounding the building of the dam that was renamed Guatapé Lake. You'll gain an insider’s perspective on local efforts to pressure the government to address the reservoir’s encroaching blue-green algae. As you walk towards the neighboring town of El Peñol, absorb stunning vistas of the dazzling granite La Piedra Rock. Climb the 740 steps to admire the classic view from above. Return to Guatapé and explore the streets. This is truly the most colorful town in Colombia with beautiful artwork along the lower half of its buildings. Head to a restaurant for a relaxing meal of freshwater fish and other local delicacies. Visit a gorgeous coffee finca (farm) located near the small town of Los Palomos -- about an hour drive from Medellín. 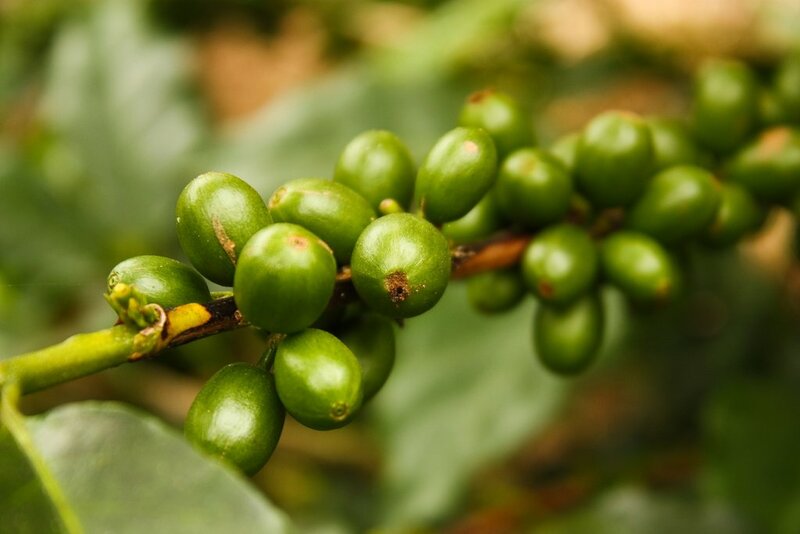 Here, you will taste the plantation's most recent harvest, and take a walking tour with a coffee grower who will explain the bean growing process first-hand. Learn how coffee is linked to every Colombian family and how it became a source of pride for locals. Wander the narrow, winding streets of the inner-walled city with a camera to photograph colorful houses and lively squares overflowing with bougainvillea. Tour Castillo de San Felipe de Barajas, the greatest fortress ever built by the Spaniards. Pay respects at Santo Domingo, reputedly the oldest church in the city. Walk along the original fortress wall and see panoramic views of the city. Check out La Vitrola -- the city's most famous restaurant in a 400-year-old colonial home. Finish the day on your own with mojitos and fresh ceviche in one of the city’s hip restaurants or rooftop bars. Rise and shine! Today, you will be picked up from your hotel bright and early and transferred to the pier for a speedboat transfer towards the Baru Peninsula. Along the way, you will see Tierra Bomba Island and Boca Chica, an ancient fort that once protected Cartagena. Once you arrive to the Rosario Islands, change into your swimwear before you head to Playa Azul, a stunning white-sand beach on the bright turquoise Caribbean Sea. 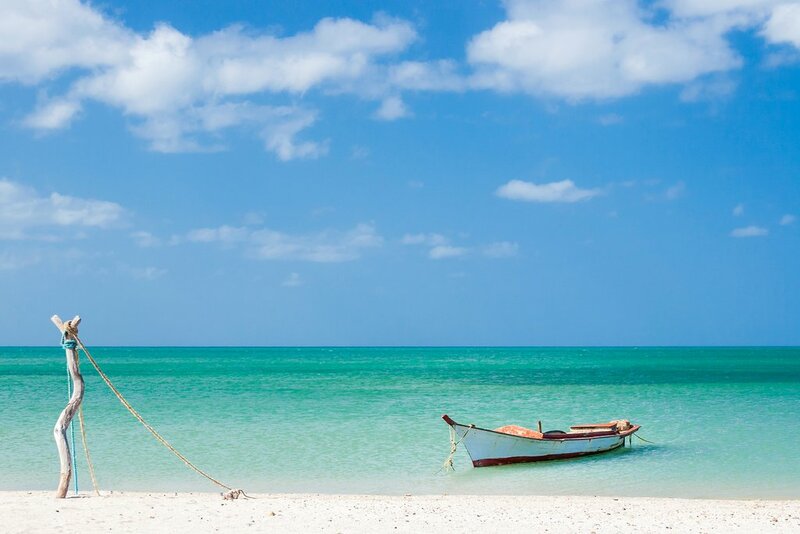 After lunch is served, you will have time to relax and sunbathe, or do some kayaking in the sea before returning to Cartagena in the late afternoon. A car will pick you up at the pier to take you back to your hotel. 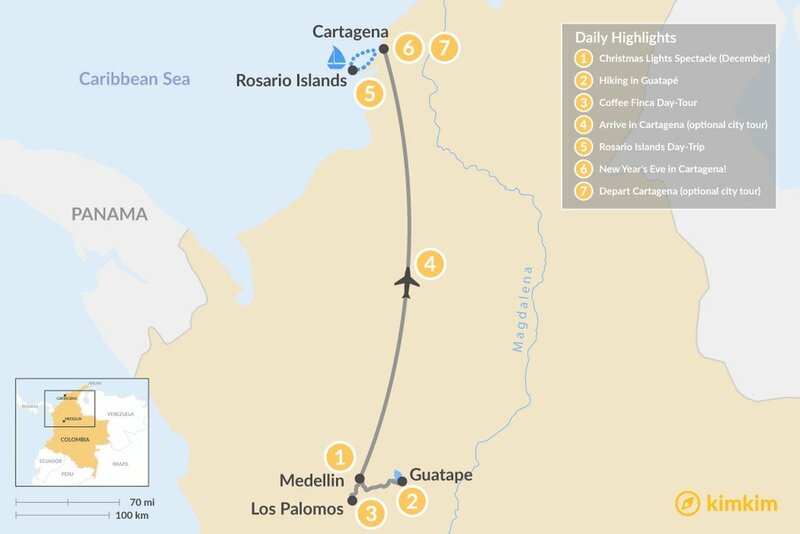 Day 6: New Year's Eve in Cartagena! 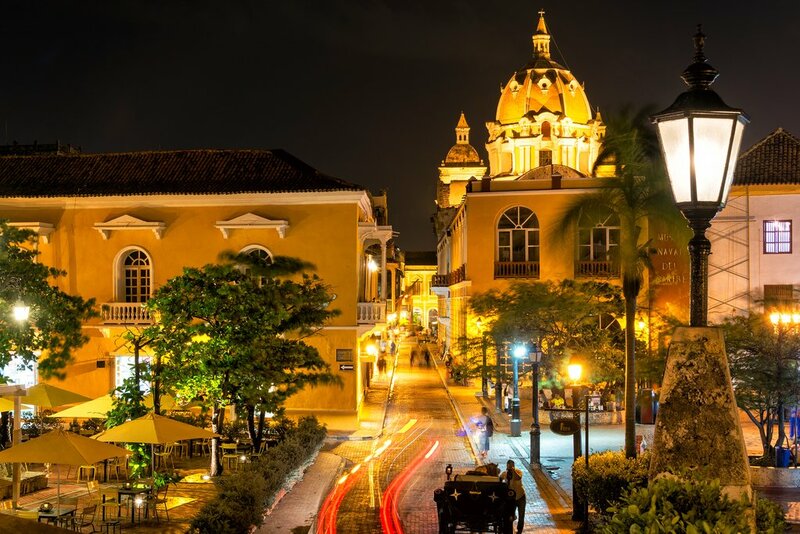 One of the many reasons that Cartagena is such a popular tourist attraction is because of its fun and vibrant nightlife scene, only helped by the fact that Old Town is quite a stunner after dark. If you're lucky enough to be here on New Year's Eve, you will see another level of international partying in this gorgeous city. You can celebrate the new year in one of the exclusive restaurants, bars or clubs around town (make sure to reserve your space in advance). Or, get off the beaten track and keep it real with the locals in Plaza San Diego, who dance to blaring salsa music well into the early hours. It's time to say farewell to Colombia! 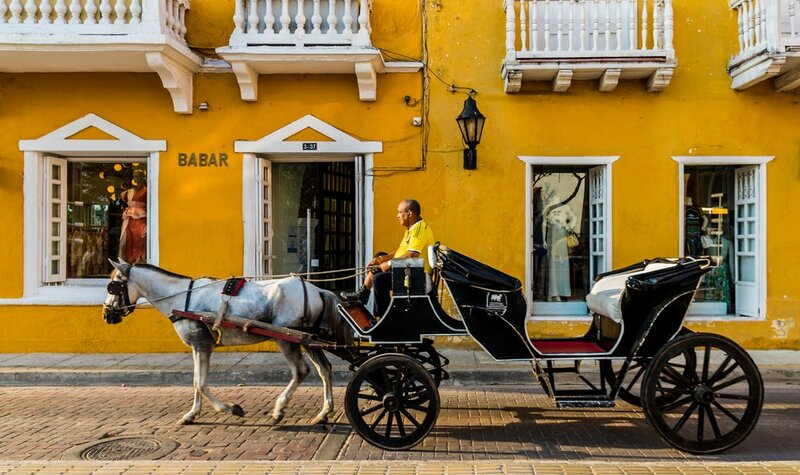 Enjoy your last moments of Cartagena in a relaxing café, or (if you have not done so yet) take a walk around the city with an English-speaking guide to gain a new perspective of the city from a local. 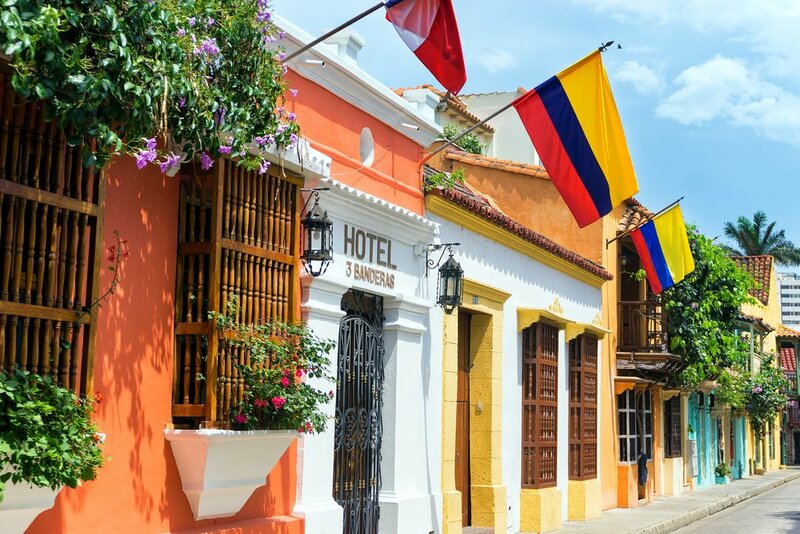 This optional tour covers Cartagena's enchanting maze of colorful houses and lively squares from the 16th century. Meander through the colonial neighborhoods of San Diego and Santo Domingo while learning about main sites like the Popa Monastery, Saint Philip's Castle, and el Museo del Oro. A representative will meet you at your hotel and drive you to the airport for your return flight home.